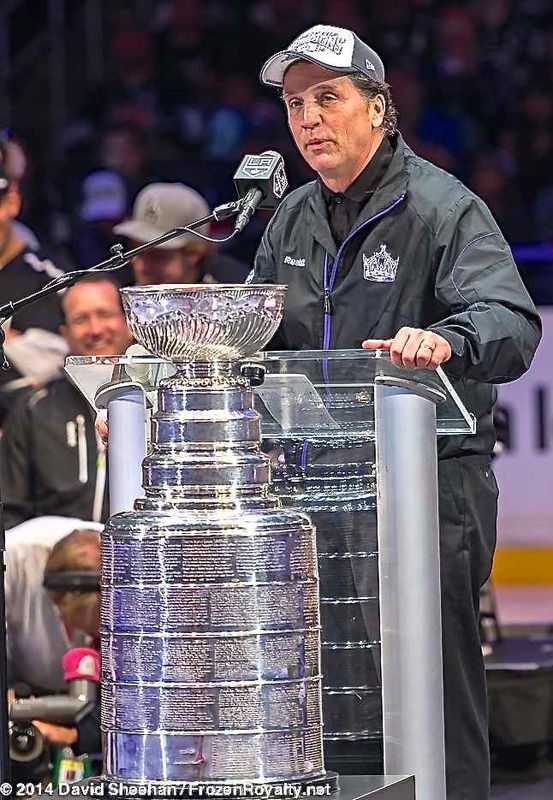 COMMENTARY/ANALYSIS: How much truth is there behind Los Angeles Kings President/General Manager Dean Lombardi’s claim that, “…it ain’t me,” when discussing his role in his team winning two Stanley Cup Championships in the last three seasons? One look at the Kings’ team culture, which extends well beyond the dressing room, and has become just as important as the talent level of the team, will provide much of the answer. Final installment of a three-part series. Staples Center in Los Angeles on June 16, 2014. EL SEGUNDO AND LOS ANGELES, CA — It didn’t take Dean Lombardi very long after his arrival in Southern California to lay out his plan for building the Los Angeles Kings into a perennial Stanley Cup contender. But what would probably surprise many, as reported in Part 2 of this series, acquiring high-end, skilled players was not at the top of the to-do list, even though that would have to happen at some point. As the Kings fought their way through the 2014 Stanley Cup Playoffs, overcoming adversity became a common theme. Indeed, they had to claw and scratch their way back from a 3-0 series deficit in the opening round against San Jose to win that series, 4-3. They won three seven-game series in which they faced elimination, and they came back from two-goal deficits to win games time after time after time. 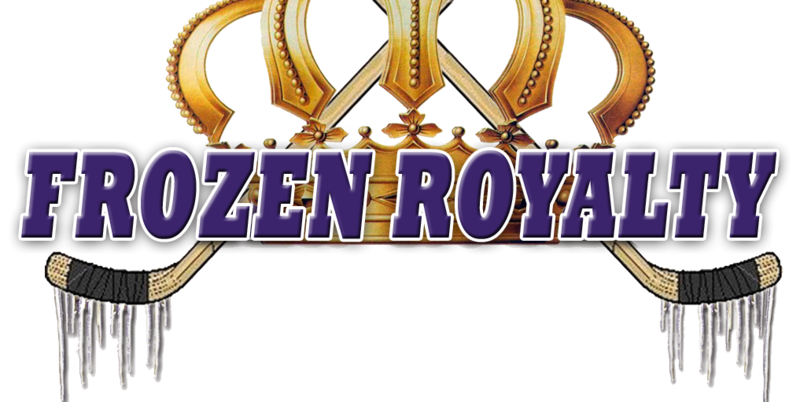 Kings players often pointed to the strong bonds between them as the reason they were able to overcome adversity so many times. Over the years, many National Hockey League players have described their teams in similar fashion. But there is a difference. Even the young players see it. It took several years after Lombardi was hired for that team culture to develop. There’s that extra five or ten percent advantage over their opponents that Lombardi spoke of when he was introduced as President/General Manager on April 21, 2006 (and as mentioned in Part 2 of this series). Winning certainly helps create and strengthen the bonds between the players. The fact that those bonds are so strong makes it easier for new players to fit in, contrary to what many might think. Cases in point: Jeff Carter in 2012 and Marian Gaborik in 2014. Those strong bonds also make it nearly impossible for a new player to adversely affect the character of the team. Winning makes it difficult for any player to come in and try to do things their own way. Brown pointed to the trade that sent defenseman Lubomir Visnovsky to the Edmonton Oilers on June 29, 2008. The deal brought two key leaders to the Kings, center Jarret Stoll and defenseman Matt Greene. They came in and gave the building of their team culture a tremendous push in the right direction. Stoll recalled a meeting with Lombardi shortly after he was acquired. As mentioned earalier, it took a few years after Lombardi took over for that culture to develop. Years ago, Lombardi talked about the players taking ownership of the team, as part of the team culture. As this story indicates, the players now dictate how things go in the dressing room—the team culture emanates from them and pushes its way into the hearts and minds of every player, not just the captain and alternate captains. Although the Kings have several leaders in their dressing room, there is no disputing who leads the way for everyone. Brown’s leadership qualities were coveted so much that despite being in the midst of what may have been his poorest regular season in the National Hockey League, USA Hockey selected him to represent the United States at the XXII Olympic Winter Games in Sochi, Russia. Brown was, for all intents and purposes, guaranteed a spot on Team USA’s roster, regardless of his play. In looking at how much truth there is behind Lombardi’s claim that, “…it ain’t me,” yours truly reported that he’s right. It is not about him. As players like Brown and Stoll indicated in this story, the players now have a strong sense of ownership, and they are the ones dictating what happens off the ice. Nevertheless, as this series has shown, Lombardi laid out a plan to build the Kings into a perennial Stanley Cup contender that has been unbelievably successful, and he exerted the necessary influence to get his players to buy into his plan and build the team culture that is so apparent today. That culture is so strong that the players own it. They are in control of the dressing room, not Lombardi. As such, Lombardi was right when he said, “…it ain’t me,” as the players now handle the leadership responsibilities on their own—they are now the ones building and strengthening the team culture. However, at one time, as Brown and Stoll indicated, it really was all about Lombardi after he took over as President/General Manager, and it was about him for a few years, as he worked to get his players to buy into his plan, especially the team culture. In other words, don’t be fooled. Although Lombardi’s “…it ain’t me” comment is true, this is mostly him being modest, deflecting credit, as the team’s culture dictates. To be sure, it was about him just a few years ago. In fact, even with the players now being the ones responsible for maintaining the team’s culture, from top to bottom, Lombardi’s fingerprints are all over every aspect of the Kings’ recent success. The fact that not one part of Lombardi’s plan, aside from drafting, was present prior to his arrival in Los Angeles shines an even brighter spotlight on Lombardi and his plans. In other words, it may not be about him now, but that is by his own design. Lombardi is, quite obviously, the architect of the Kings’ recent success. Dean Lombardi Says “It Ain’t Me.” But How Much Credit Does LA Kings GM Really Deserve For His Team’s Success? Great article, Gann. One minor point, though: besides the Taylor & Lombardi eras, the Kings also got religion about keeping all of their draft picks from 1984-88 (the first half of Rogie Vachon’s GM tenure). Of course they abandoned that when they acquired a 27-y.o. Gretzky and had to surround him with good veteran talent immediately to take advantage of his finite window of remaining eliteness (that kind of ran out after 1994), but the franchise did at least recognize the reason for their 1967-1984 mediocrity and tried to remedy it. The fact that they abandoned it when they acquired Gretzky supports what I wrote, and what Lombardi said: they never actually rebuilt the team from the ground up until Lombardi took over. The fact that the Kings didn’t have a first round pick play for them until Jay Wells in 1979 also supports that. That 4-year period you mentioned turned out to be nothing, when you think about it. Turned out to be lip service, which was par for the course for the Kings when it came to drafting and development, at the time.